Theme Italia free download for Symbian s60 3rd and 5th edition. 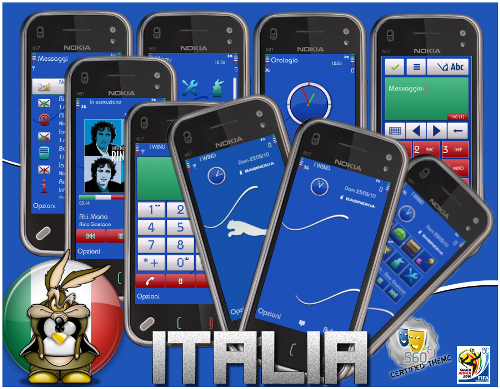 Italia is a theme for Symbian s60 5th edition made by Babinokia. The skin is mainly in blue, with white stripes for the main screen. It uses the colors of the Italian flag - green, white and red - for the dial menu. Perfect color combination and perfect time for the release - to support the Italian spirit for the World Football Cup!